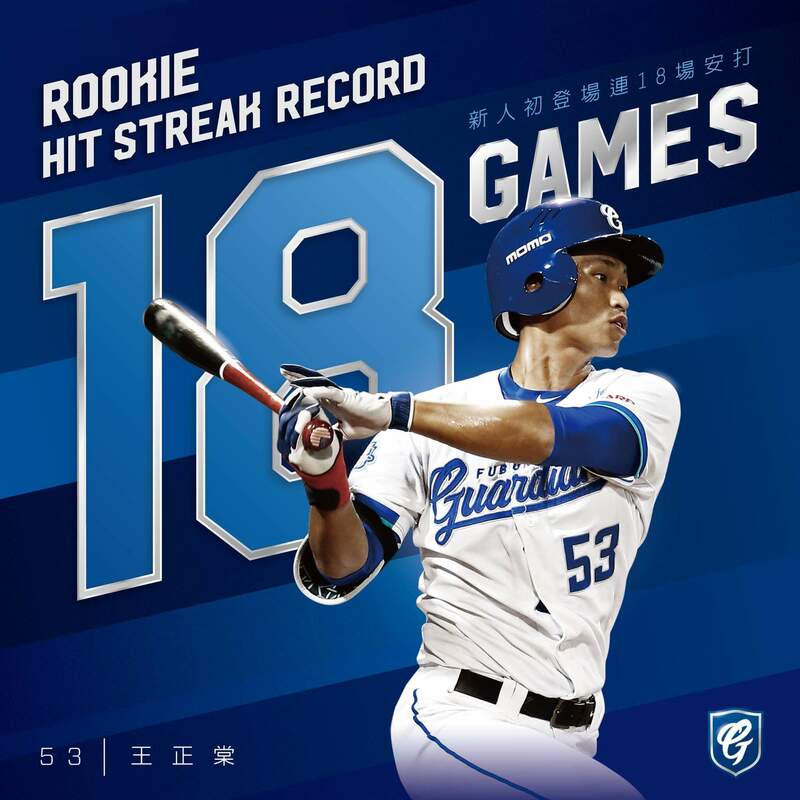 The Fubon Guardians’ rookie 王正棠 (Wang Cheng-Tang) has accomplished something extraordinary since signing with the Guardians on July 2018. The Guardians 2018 second-round draft pick has broken the CPBL rookie hit streak record (11-game) and extended to 18-game. The record means since Wang’s CPBL debut on August 22, 2018, he managed to get at least one base hit for 18 consecutive games. The rookie hit streak record is perhaps the record with the highest difficulty, as players will only get one chance in their entire career to attempt it. Unlike other records, there is no second chance. Wang collected a total of 33 hits (5 doubles and 3 triples) and had a .418 batting average during his 18-game hit streak. He also scored 19 runs and with 15 RBI. His hot streak had finally come to an end last night against the Uni-Lions, where he went 0-for-4 with one walk. Wang had a final chance to extend the hit-streak in the ninth inning, but he fly-out to the centrefield. 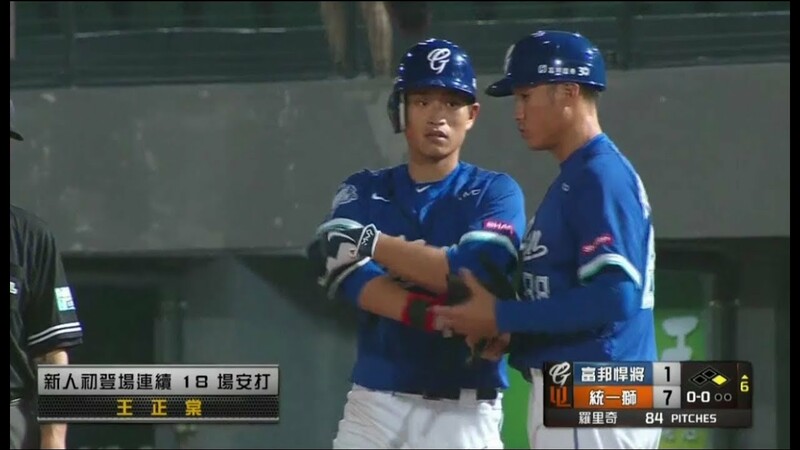 *NOTE: The CPBL hit streak record is 33 games, it was set by the Lamigo Monkeys’ 郭嚴文 (Kuo Yen-Wen) back in 2015.